In this article we will break down the various types of incubators and explain their pros and cons. We will also walk you through the incubation process and hatching eggs. There are certain things that need to be done to ensure the best hatch possible, so we have presented them here. Before we start it’s worth saying – the cheaper the incubator the more work there is for you. Checking of temperature/humidity several times a day, turning the eggs several times a day – it can be difficult to do if you are working during the day. Basic incubators are cheap, easy to use and generally work pretty well. They will have a heating element and perhaps a fan. They also have water channels and a platform on which to rest the eggs. The still air box is exactly what it says. There is no circulation of the warmed air throughout the box. This can lead to some areas of the box having warmer or cooler spots. If you remember your science lessons from school you will remember that warm air rises above the cool air. The variance in temperature can be as much as 5 degrees; this can affect hatching. This is a step up from still air. The warmed air is circulated throughout the box so the heat is more evenly distributed by the fan. They are also known as ‘forced air’ incubators. These units contain a small fan which ensures the air temperature is as even as possible. I have had very decent hatches using one of these. These usually have a lot more ‘bells and whistles’ added to them. They can vary from small and easy to use, to larger and a bit more complex. The advanced incubators take a lot of the anxiety and guesswork out of incubating. 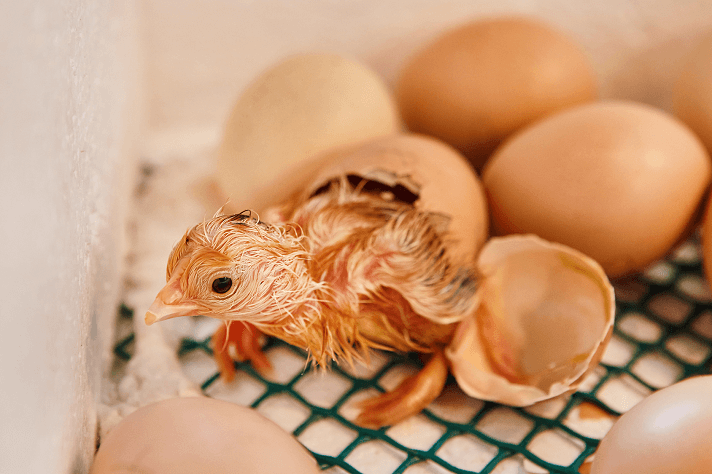 If you have ever used an incubator before, you are aware of the need to keep the temperature and humidity at certain levels, which means checking on the incubator at least three or four times a day. These advanced models hold temperature and humidity much steadier than the basic models – this makes them much more efficient, cost effective and appealing. They come in a wide range of sizes from a 7 egg capacity on upwards to around 56 or so eggs. If you are able to afford the cost they are much more successful in the hatching department. The next part is going to walk you through the incubation process giving you some tips and tricks along the way. We are going to assume you have a circulated air incubator. If you haven’t yet got one, your next purchase should be a fan kit; it will be well worth the money. If you are going to be hatching your own chickens’ eggs there are a couple of things to do to ensure the eggs are fertile. You might want to crack open a couple of eggs prior to selecting the chosen eggs. How do you know if the egg is fertilized? Stare intently at the yolk – you should see a small, whitish circular area that looks like a bullseye. If you have a bullseye, it is fertilized, if you just have a small white spot, not fertile. When you gather up the eggs, try to choose eggs that are not soiled. 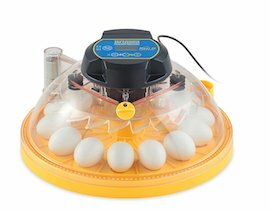 If at all possible you do not want to clean the eggs before setting them but you certainly don’t want dirty eggs in the incubator. Avoid eggs that are overly large or small, misshapen, cracked or have thin shells. All of these things will affect the viability of the embryo. Collect the eggs 2-3 times /day, especially in hot weather so they can be stored at the optimal temperature and humidity. Always store them with the pointed end downwards and remember to turn them daily. I simply elevate one side of the box one day and the other side the next day. The longest you should store eggs is around 7 days. Every day after that decreases the likelihood of a successful hatch. A brief note on eggs that have been shipped before reaching you – they will need to be set aside for 24 hours to allow the contents to settle back into place. The hatch rate from shipped eggs is poorer than a home hatch. Please don’t automatically blame the seller – the postal service is not always gentle with handling. Lastly in this section, do not mix eggs – you cannot successfully hatch chicken, duck, quail and turkey all together. Each species has differing requirements for hatching conditions and times. Incubator – test it. Make sure it works as it should, it is important to try and set the humidity and temperature before you set the eggs. Extra thermometer and hygrometer – strictly speaking, these aren’t necessary, but helpful to ensure your heat and humidity is just right. A safe, secure place to put the incubator for the next 3 weeks. It should be placed in an area where the temperature is fairly constant – away from windows so that the sun cannot overheat the box. Egg turner – unless you are turning by hand, which is time consuming and needs to be done at least three to five times a day. Water – to fill the channels at the bottom of the incubator. This is usually every couple of days depending on your humidity. Candling device – you can buy special candling lights; we share our favorite later on in the article. Set the incubator up and run it for about 24 hours in advance. This gives you time to get the temperature and humidity set to the number recommended in the directions. In still air incubators it is usually around 101-102F and 99-99.5F for circulated air incubators. Get your eggs ready once the incubator is good to go. 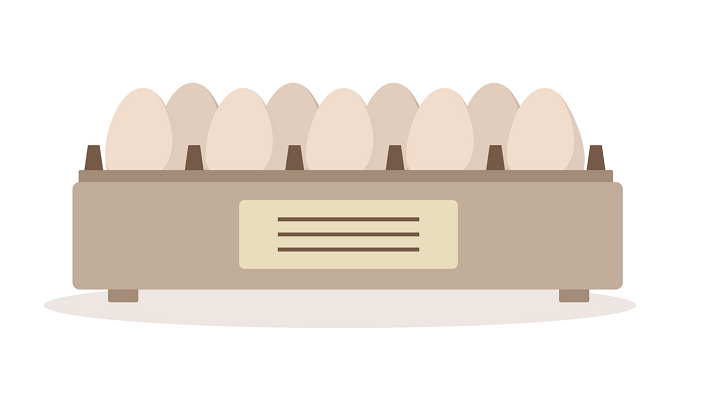 Let the eggs gradually rise to room temperature before placing them in the incubator pointed end down. If you are going to be hand turning your eggs, this is a good time to mark one side of the egg with an X. This will ensure you don’t forget which side was ‘up’ each time you turn. 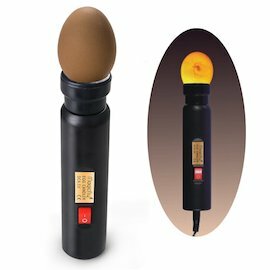 Mark the eggs in pencil (non-toxic) and keep a record of your turning frequency. Always wash your hands prior to turning the eggs – germs will thrive inside the incubator as it’s the perfect environment. Once your eggs are in the incubator, let the temperature rise back to your pre-set level. Check in a couple of hours to make sure the temperature and humidity have stabilized – you may have to make small adjustments because of the added eggs. The incubation process will take 21 days so it’s time to start the countdown. Obviously you will be visually checking on your eggs each time you visit the incubator. Resist the urge to take the lid off and try to candle every day. This dramatically affects temperature and humidity stability and by extension hatchability. Most folks candle between Day 5 – 12 to see if the egg is progressing. The best time for embryo visibility is Day 8 onwards. It is very important to keep the environment within the incubator as stable as possible. Temperature is usually the easiest to control, the humidity is a bit trickier, but equally as important. Depending on your level of commitment and comfort, there are three ways to try and keep the humidity at optimum levels. Firstly – follow the directions for the incubator model you have. This is a satisfactory method for regular eggs. Secondly – you can keep a humidity chart and adjust the humidity level to the accepted guidelines for that particular species. This is good if you are hatching quail, duck etc. something other than chickens. 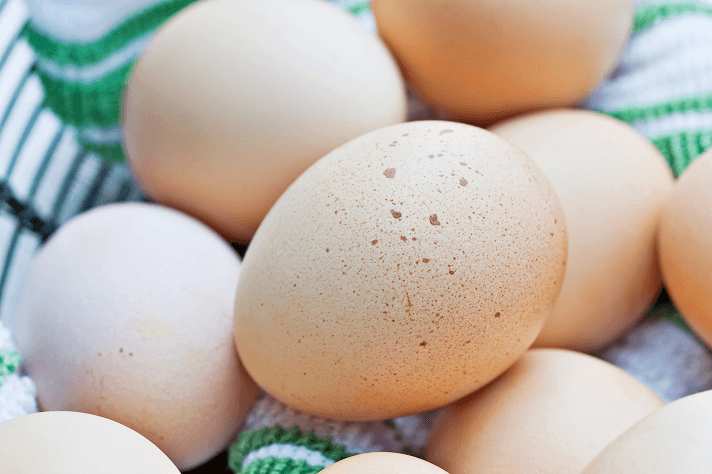 Thirdly – for expensive or rare eggs you will need to weigh the eggs to compare against an ideal weight loss chart. This is time consuming and quite particular. The humidity needs to be at 40-50% until Day 18, and then the humidity is raised to 70% for the final three days. The hardest part is waiting! You can use this time well by making sure everything is in place for your chicks when they hatch. Make sure you check to see if the heat lamp/electric hen heat plate is working, the brooder is set-up ready to receive and that you have sufficient fresh bedding, food and electrolyte supplement for water. 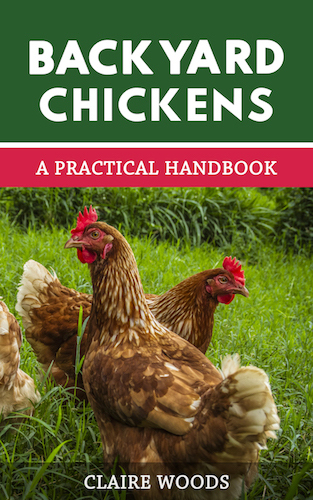 Read our guide on preparing for chicks here. You may have heard or read of someone putting their incubator on ‘lockdown’ – what is that? Lockdown happens on Day 18 – this is a busy day. Your incubator directions will tell you that you need to increase the humidity to 70% now. This is usually done by filling all of the water channels and adjusting the vents until you achieve the magic number. You should not open the incubator again unless you need to refill the water. This is also the day you turn off the egg turner, remove it and place the eggs on the tray provided. This is to help the chick adjust itself inside the egg to prepare for ‘pipping’. The chick has to turn a fairly complex maneuver in order to align its head with the air cell. Once it has done this, it will ‘pip’ into the cell and take its’ first breath. The chick will then proceed – slowly, to pip the shell with the ‘egg tooth’. The ‘egg tooth’ is a small appendage to the beak for this very purpose. After the chick has hatched, the egg tooth will fall off. Day 21 – Hatch Day! This is the day that the chicks should start to appear. 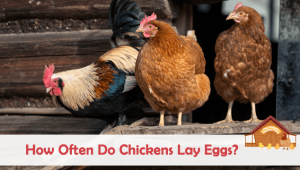 Don’t get alarmed if they don’t appear right away, remember that a day to the chick is 24 hours, so if you put the eggs in at 10pm at night, this is the time you can expect some action. Sometimes you can hear them peeping to each other as if to encourage them to break free of the shell. You can try peeping back at them for encouragement – I do! They look very bedraggled when they first break out, but they will dry quickly inside the incubator. You can leave them in the incubator for 24-36 hours after hatching without worry. They have sufficient reserves to live on for this time; in fact they can go as long as 72 hours, but personally I would not do this. Once you have a few fluffy dry chicks in the incubator, you will need to remove them quickly to make room for others to hatch and for the wet ones to dry, but remember you still need to keep the humidity high for those that haven’t hatched yet. Since you collected eggs from succeeding days, you are going to get chicks hatching closely but not all the same time. A ‘normal’ hatch should be completed within 24-48 hours of the first appearance. 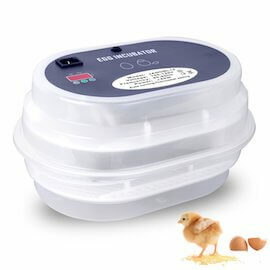 You should leave your incubator on for a couple of days beyond your hatch date ‘just in case’. If you have chicks that seem to be ‘stuck’ after the external pipping and not making any progress the experts say you should not help them out. That is extremely hard to do. All of the chicks I have ever helped out have died or been deformed in some manner. It is a personal choice but be prepared for the worst. Make sure to read our guide on caring for chicks here. My best advice to you is to buy the best incubator you can afford. 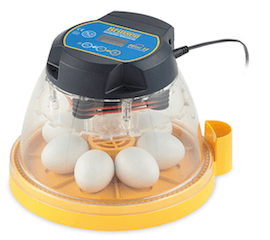 While a small digital automatic incubator may seem expensive, it will save you money in the long term, especially if you plan to hatch a lot more eggs. The cheapest and most efficient incubator I have ever used is a broody hen of course! She will do all the work for you for free and do a splendid job of it and take care of the chicks, what more could you want? It can become very addicting hatching eggs, but please spare a moment’s thought as to what you are going to do with all those chicks. If you have a rare or popular breed selling may be an option, but if you have ‘barnyard mix’ birds, don’t expect more than a couple of dollars per chick. 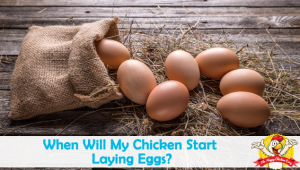 When Will My Chicken Start Laying Eggs? 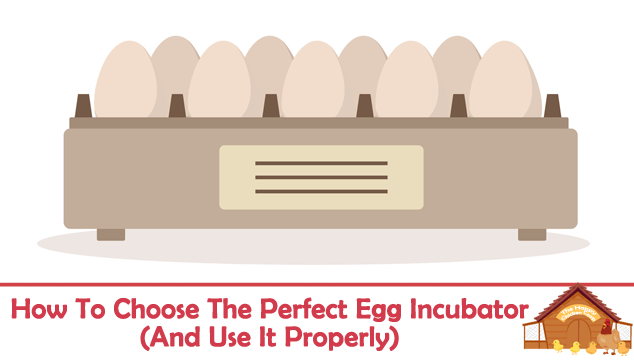 What is the optimal temperature for eggs while you are gathering enough to fill your incubator? You can either keep them in a clutch (if you have a broody hen). Or you can keep them somewhere cool (not in a fridge!). Somewhere between 40º to 50ºF will be fine, but try to incubate as soon as possible.